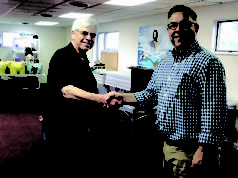 NEWARK – Guy DeBonaventura played eight minutes in the boys’ state basketball championship game for St. Elizabeth against Smyrna on March 10 at the Bob Carpenter Center, and he scored just three points. But the senior’s three-pointer with 5:06 to go put the Vikings ahead for good as St. Elizabeth earned its first title with a 60-49 triumph that was closer that the final score would indicate. For DeBonaventura, who missed several games with a broken hand late in the season, getting that pass from classmate Nate Thomas meant a ton. The win was the Vikings’ ninth in a row. That streak followed a stretch where the team lost four of five. 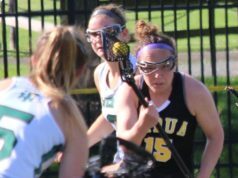 Their stirring postseason run – in which they were the ninth seed in the 24-team bracket – included wins over Newark (24th seed), St. Georges (eighth), Glasgow (17th), Caravel (fifth) and Smyrna, the third seed and defending state champion. Until the final seconds, the biggest lead in the second half was seven, which Smyrna held at 43-36 late in the third. 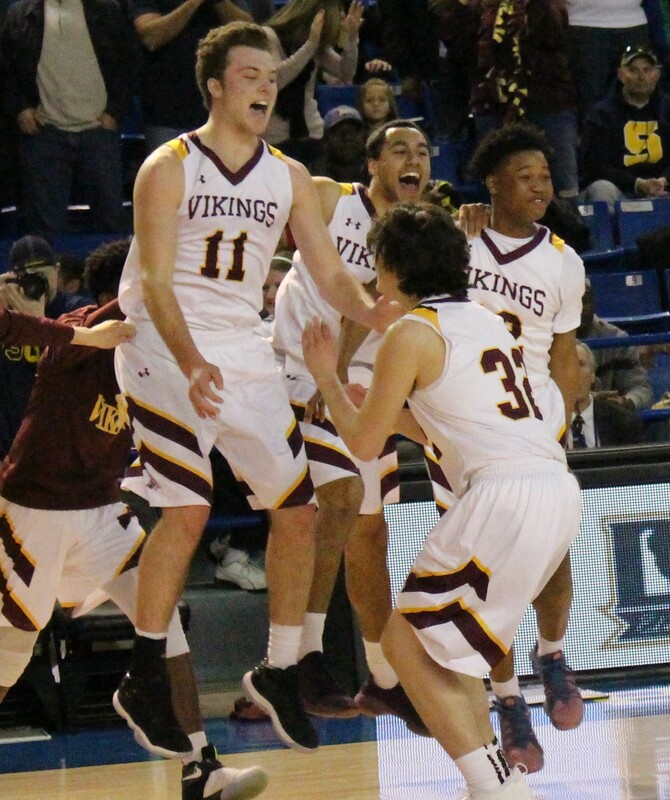 But the Vikings cut that to two before the third ended as Thomas, who had been scoreless, drove the lane for a layup, went back for a rebound on the other end, then took a pass from Justin Money and drained a three-point shot with seven seconds to go to make it 43-41 as the final quarter began. The Vikings trailed for nearly 16 consecutive minutes of game action, from early in the second quarter until DeBonaventura’s triple. But they did not let Smyrna – a dangerous three-point shooting team – extend the lead too much, and Thomas said they knew they could rebound. “Basketball is a game of runs. 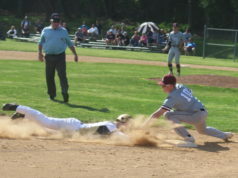 That was key for our team, to keep confidence and keep believing that hey, we can win this thing,” he said. Smyrna big man Jaymeir Garnett made two free throws early in the fourth to double the Eagles’ lead, but the Vikings then launched their final comeback. Thomas started things with a short jumper, then found DeBonaventura for his three-pointer. Nasir Brown drove the lane for two, but Eagles sharpshooter Caleb Matthews cut the lead to one with a layup of his own with 3:28 left on the clock. 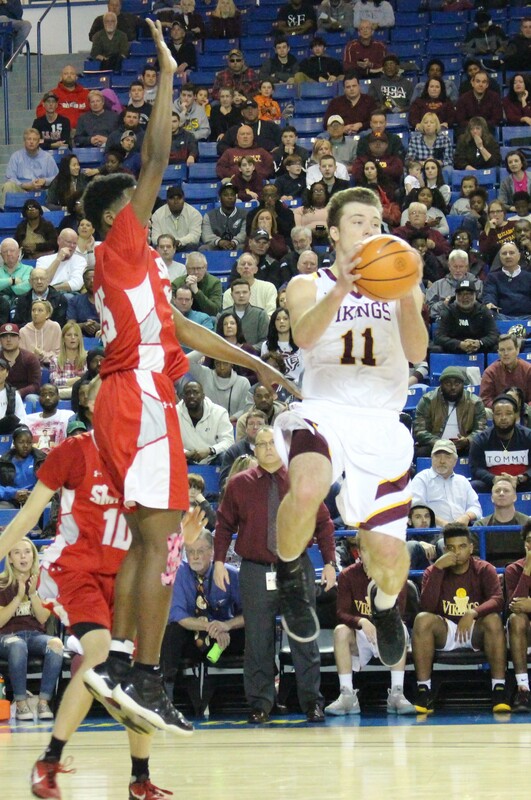 The St. Elizabeth lead fluctuated between one and three points until the final 40 seconds, when Smyrna started sending the Vikings to the free-throw line. St. Elizabeth hit its first three free throw attempts, but then missed five of their next six. 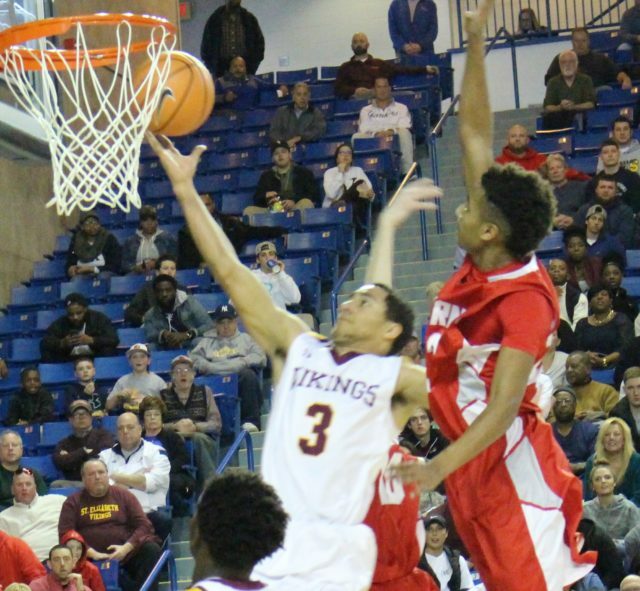 Smyrna lost its composure late, picking up a pair of technical fouls in the closing seconds, and Nasir Brown and Thomas each made a pair of free throws for the final margin. 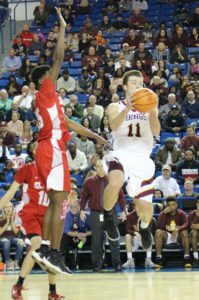 Vikings coach Matt Rubincam said a key to the win was playing stiff defense throughout the season, especially in the state tournament. 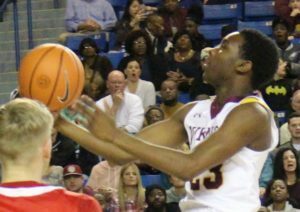 Against Smyrna, the Vikings held Matthews, the state’s Gatorade Player of the Year, to 16 points, 11 of those in the first half. “They bought into the defensive philosophy of what I’ve always taught. We had to make some adjustments on the defensive end, but I’m very proud of them and I’m very proud for the school as well,” he said. Vikings junior Money drew Matthews as his defensive assignment, sticking particularly close after Matthews nailed three triples in the first half. Money was the go-to person on defense against all of the Vikings’ postseason opponents. After the final buzzer, the players sprinted over to the end zone at the Carpenter Center where a sizable contingent of their schoolmates had spent the early afternoon cheering wildly. The players waded into the bleachers, where they were enveloped by the students. The rest of the VKNation, as the school’s supporters are known, snapped photos and took video. The hard work had paid off. Jordan Brown capped an eye-opening season with a team-leading 17 points. Money added 14, and Thomas scored 11. Matthews and Garnett each scored 16 for the Eagles, who finished the season at 20-4. Related: Vikings and their fan base are a mutual admiration society.